We spent the third and final leg of our Portugal trip in Lisbon. 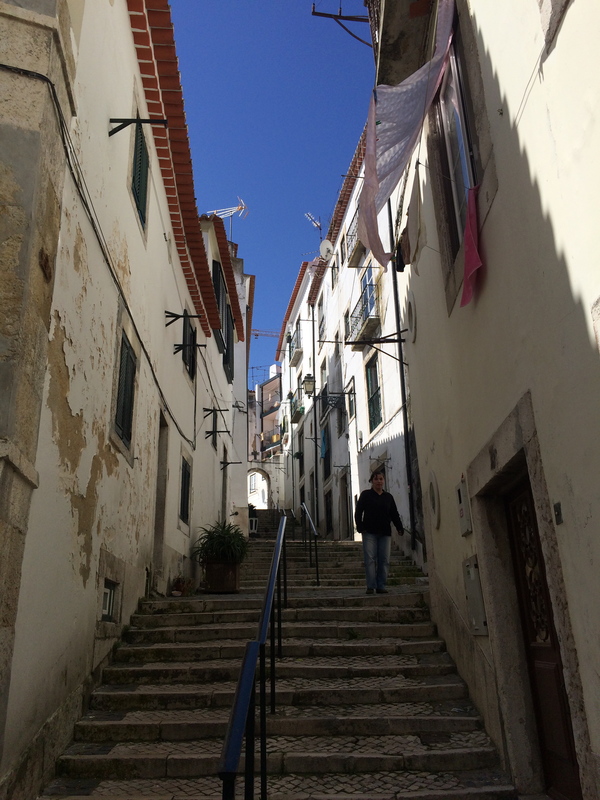 We rented a little apartment in Alfama, the oldest district in the city. Al and I were really into Alfama. 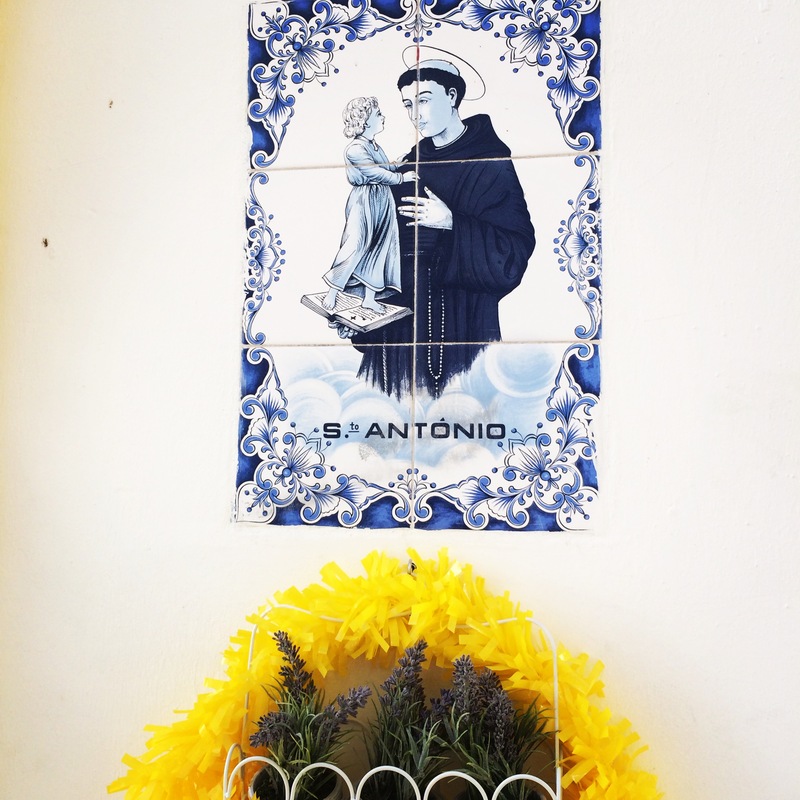 In some ways, it felt quintessentially European, with its narrow, cobbled streets, shrines sprouting out of public walls, and ancient churches. But in other ways, it felt decidedly developing world. There was trash in the alleyways, certain streets in the neighborhood reeked of fish, and the buildings were crumbling and peeling. Alfama reminded me of some parts of Brazil, and even of Mozambique. By the end of our time there, I had decided that Lisbon (and Alfama in particular) looked and felt how I imagine a Southern European city would have looked and felt forty years ago. Not backwards, of course, but not exactly cosmopolitan, either (and I mean that in the best way). Alfama was very neighborhood-y: people yelled at each other from windows, laundry hung out to dry over the streets, kids played in front of their parents’ shops. We saw the same people every day when we left the apartment (most of whom were old ladies in housecoats, doing their shopping), and no one seemed to be trying to sell us anything or otherwise adapting their behavior to accommodate tourists. 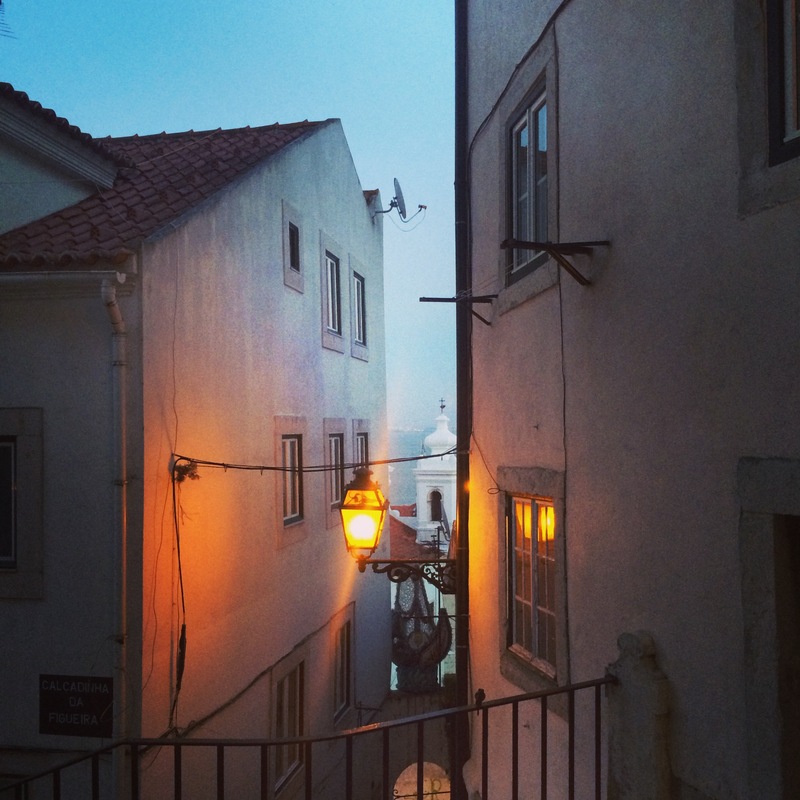 We later realized that we were staying in the lower part of Alfama, which is decidedly un-touristy (except for a few fado bars), but on our last night, we ventured to upper Alfama, which, we discovered, is where all the tourists had been the entire time. I’m really glad we stayed where we did. One of our favorite Alfama experiences happened one night after dinner, when we stopped in a tiny bar near the apartment. When we walked in, the bar was empty except for the bartender (a middle-aged lady) and a monk in full black robes. As soon as we bellied up to the bar to order our drinks, the monk started chit-chatting with us in Portuguese, telling us all about Portugal, port, his life as a monk (which appeared to entail getting up very early but also drinking fairly late at night), and the places he had traveled. 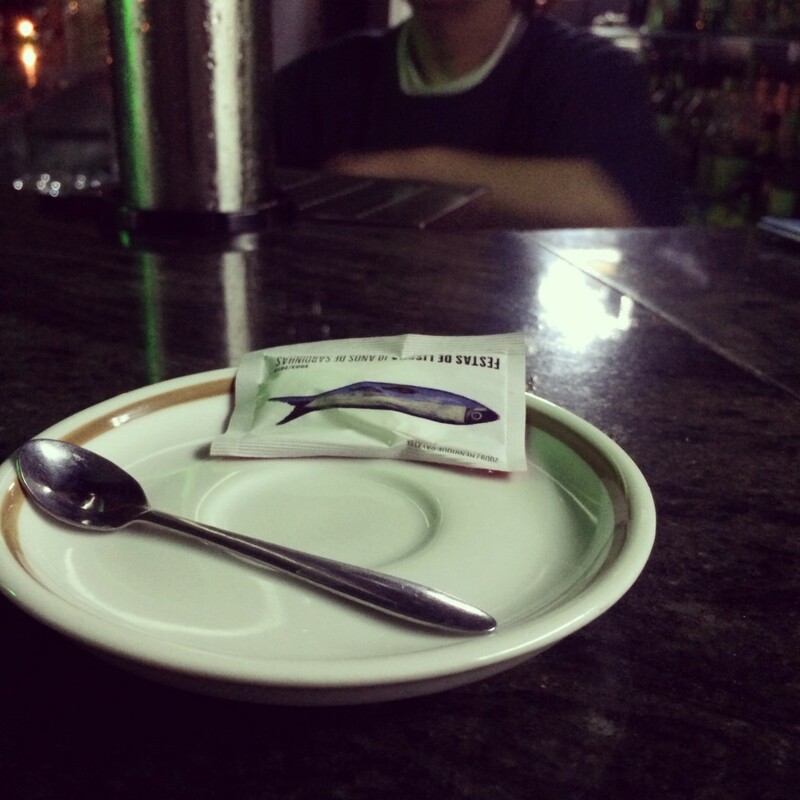 When I hesitated over which type of port to order, he told me to get white port because it was “like a woman: sweet, soft, and full of soul,” or something to that effect. Oh, flirty Southern European monk! You sure have a way with the ladies! 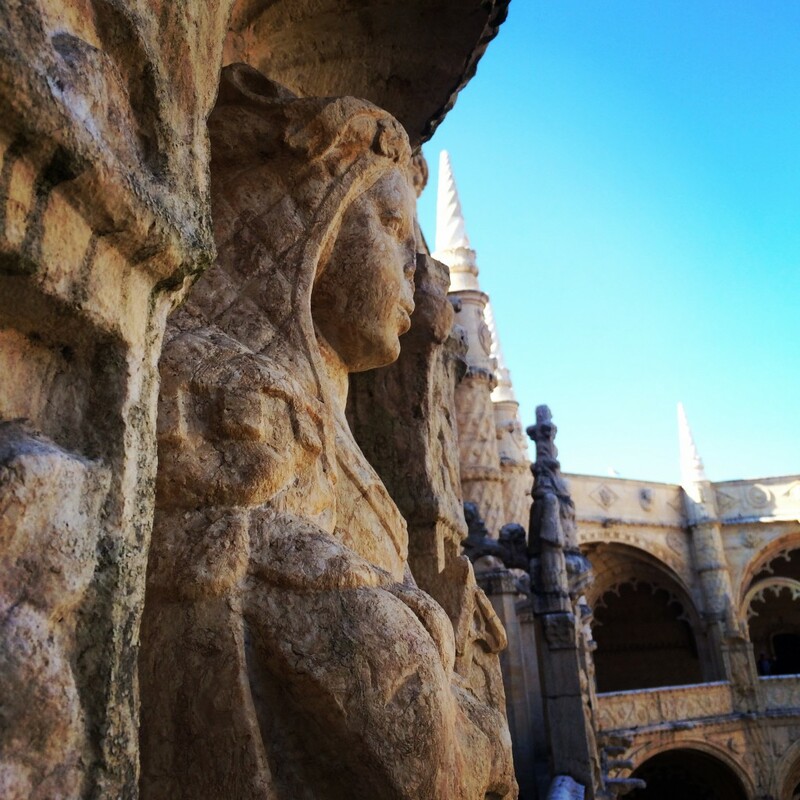 We did some sightseeing in Lisbon, too — we checked out the Mosteiro dos Jerónimos and the Tropical Botanical Garden — but mostly we just enjoyed walking around, admiring the old buildings and the azulejos, and, of course, drinking copious amounts of port. (Oh, how I love port!) We also got to meet up with my cousin Allie and her boyfriend, Marlo, which was fun. They took us to some bars in Bairro Alto, one of which had a bossa nova band (from whom I requested “Chega de Saudade,” obviously). 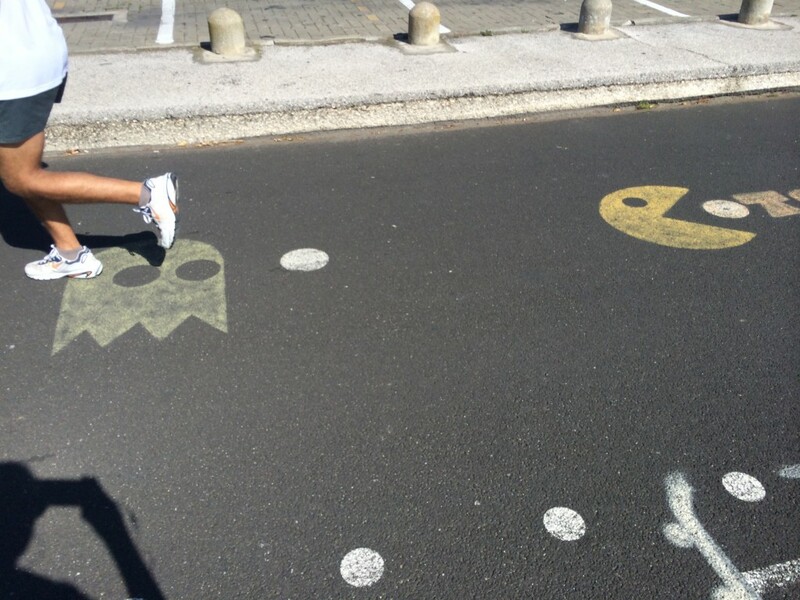 I also went for some good runs and saw some of the funky graffiti and sidewalk art along the river. 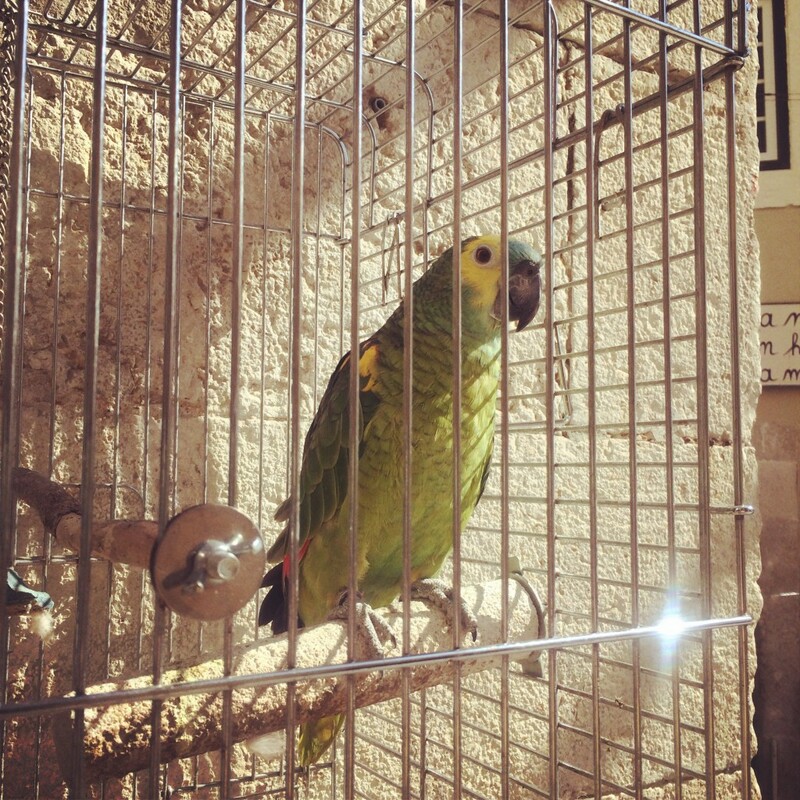 In our wanderings, Al and I also encountered lots of caged birds, which was both sad and weird. I’d never before been to a place where people just hang bird cages (filled with birds) outside of their homes and places of business. Now, a word on food. Al and I concluded by the end of our time in Portugal that gastronomically speaking, the Portuguese do three things really well: 1) baked goods; 2) port; and 3) preserved fish. 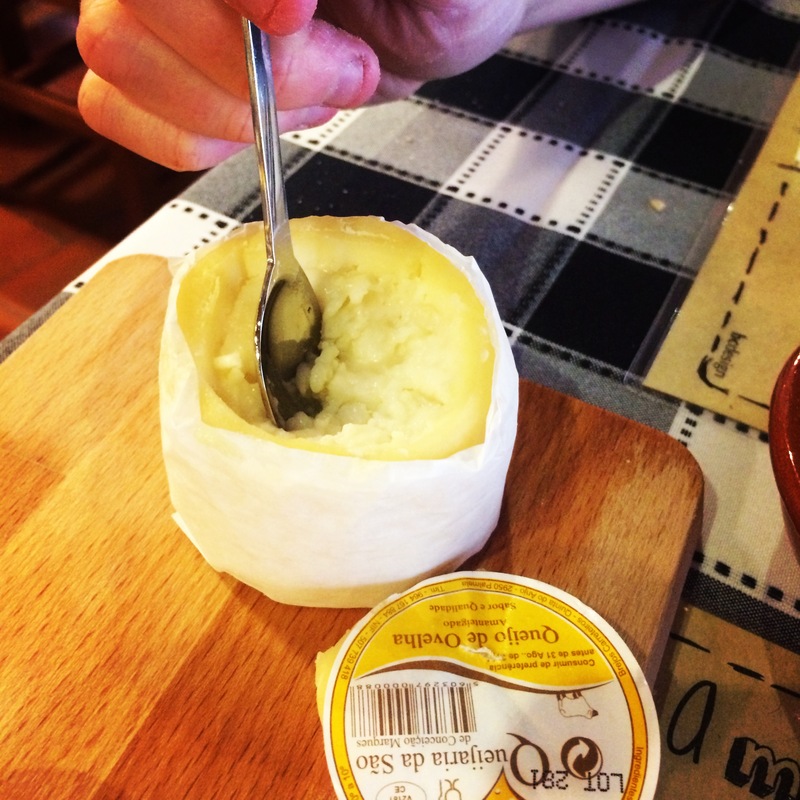 I also enjoyed the simple sheep’s milk cheeses and the marinated olives we got everywhere. 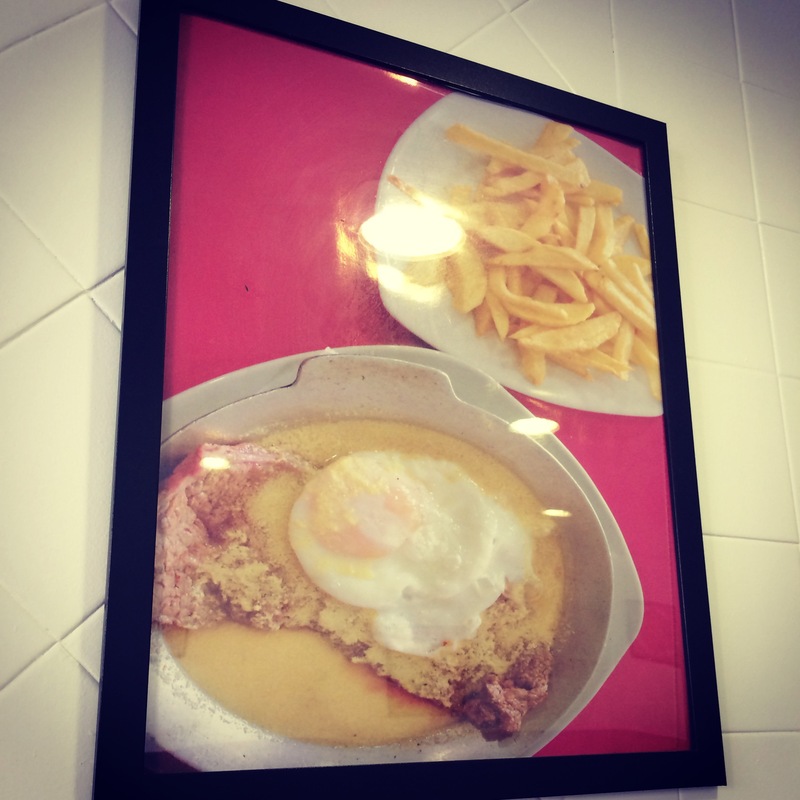 Apart from those things, though, Portuguese cuisine struck us as being pretty nondescript. Unless you’re REALLY into salted codfish, you probably won’t come away from Portugal with a strong impression of their food. 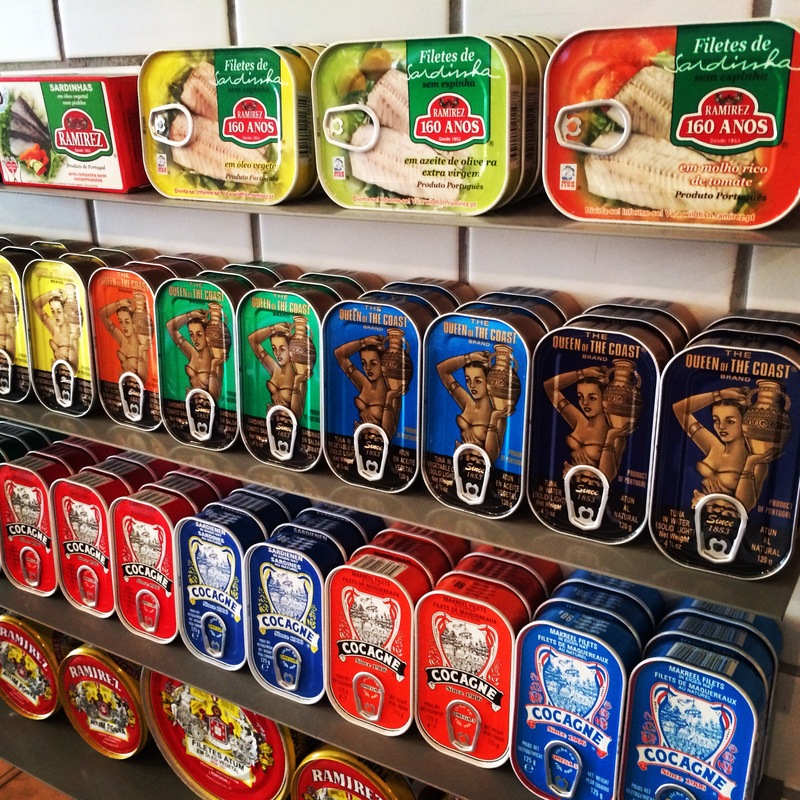 But if you have a thing for seafood in cans, hoo boy, you’re gonna love this place! One thing the Portuguese do NOT excel at, we found out, is food photography. 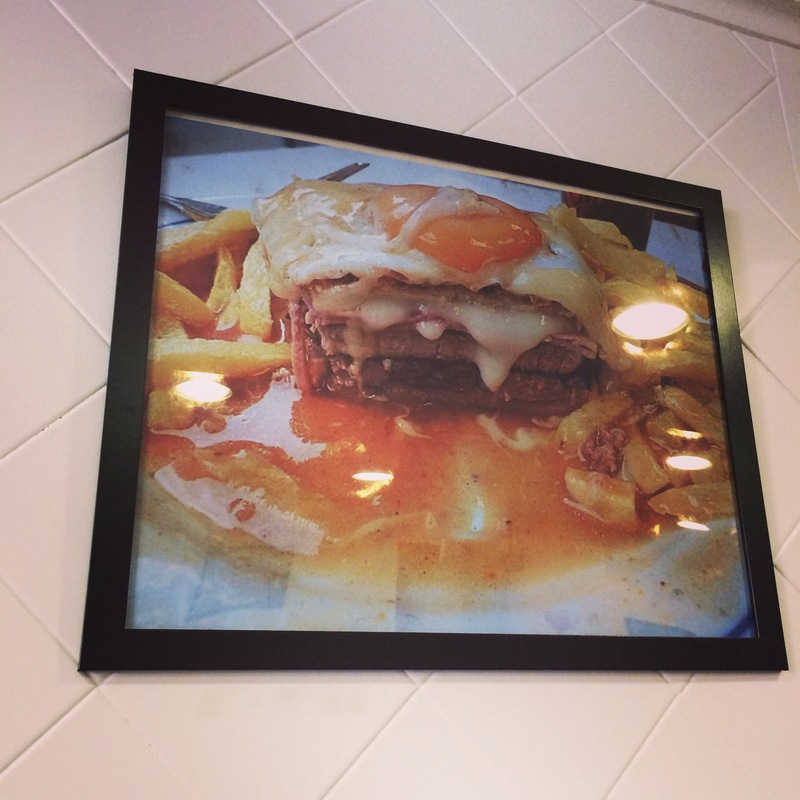 I started taking photos of all the horrendous food photography I saw, usually prominently displayed in the windows of restaurants, because so much of it was so revolting. Here are just two of my favorites, which were actually framed. I can only positively identify two out of four of these foods. But you know what? Terrible food photography aside, we ate pretty well in Portugal. And we drank REALLY well. Overall, what I liked most about our time in Lisbon was wandering into cafes and restaurants in Alfama and not seeing any other tourists. We were never bombarded with gimmicks or up-sells or even particular attention, wherever we went, and it was really refreshing. To borrow a phrase from every Lonely Planet guide ever written, the city was very “atmospheric,” and we were sad to leave. Obrigada, Portugal, por uma visita ótima! 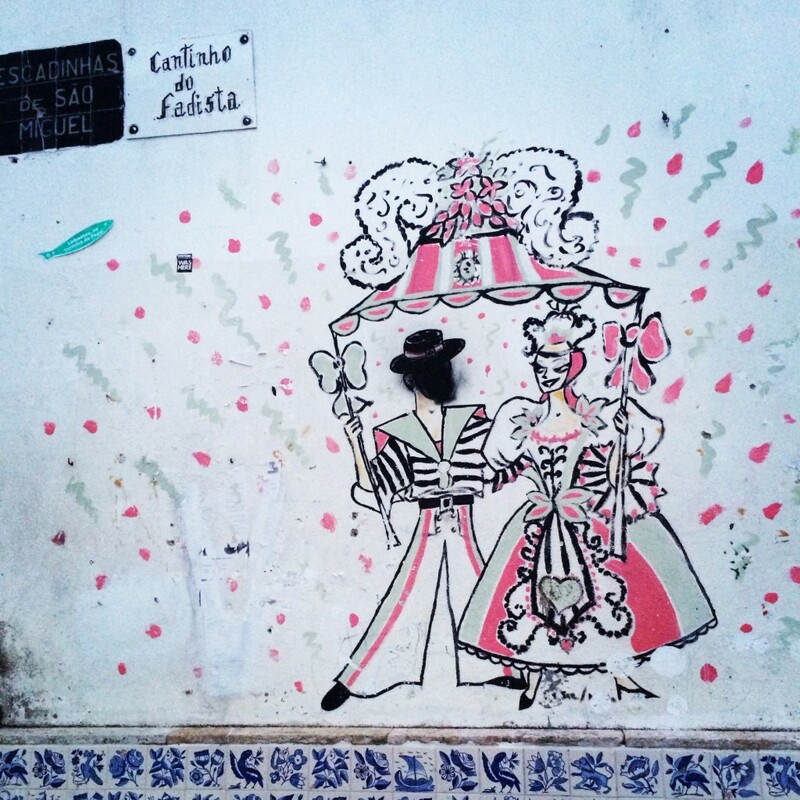 This entry was posted in Food and drink, Travel and tagged Alfama, drink, food, Lisbon, port, Portugal, Travel on March 21, 2014 by Stephanie.